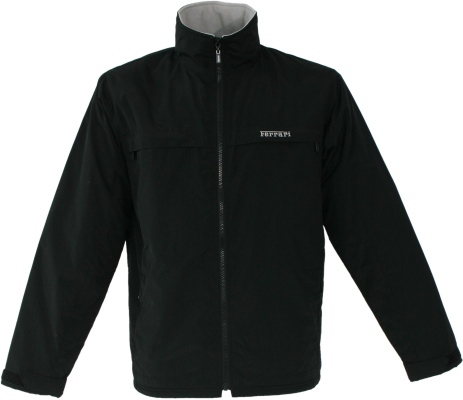 Black Ferrari Fleece Lined Jacket. 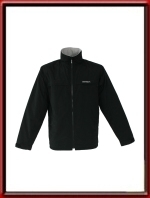 Teflon coated (for stain resistance) fleece lined jacket with concealed hood. Ferrari script logo embroidered on the left chest. 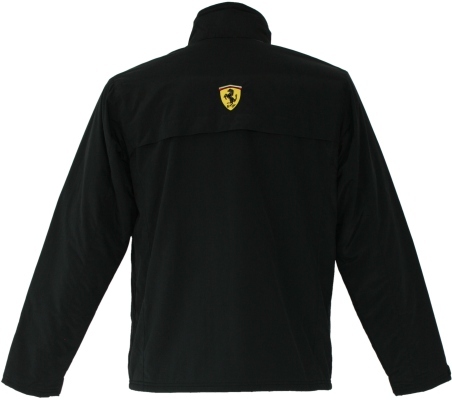 Scuderia Ferrari Scudetto shield logo embroidered on the back.